Am I Teaching My Kids to Be Frugal, or Cheap? I say I’m frugal. Some people say I’m cheap. Tomato, TOE-MAH-TOE. Whatever you call it, I try to make smart financial decisions every day. This isn’t always an easy thing to do because other adults are so quick to spend money on stuff I wouldn’t be able to rationalize even if I could afford it. With being an adult comes a mindset that we deserve something because we work so hard. I can certainly understand why adults are so quick to throw money at things for the sake of relieving stress. I get it. I work full-time at a day job and come home to be a mom and writer. I am tempted every single day to throw money at bad choices for my budget like cable TV and meals at restaurants to ease the stress. You know what’s more stressful than balancing all the parts of a busy adult life? The prospect of having to live in a box on the corner when I retire because I blew all my cash on things I shouldn’t have like Olive Garden or a massage. I can’t lie—both those things sounds fabulous right now. It’s a daily inner-battle to make wise financial choices when we’re surrounded by stuff, stuff, and stuff! But each day—okay, most days—I do my best to spend wisely and to live within my budget. It’s not always the easier choice, but it’s the choice I’m hoping will lead to deeper riches of contentment. I once had a boss who made at least 6 figures, but he said the happiest time of his life was when he was making $10,000 a year, and he and his wife lived in a studio apartment with a mattress on the floor. You should have seen the grin on his face as he reminisced about it. As we mature into adults, we think suddenly we have to grow up, and grow up means buy a house that’s too big, a car that’s too nice and so many electronics we’re not having an authentic life anymore. Related: I Deserve a New Car, Right? Wrong. We think success can’t equal simple or frugal. Frugality is for when we were younger and struggling, right? I think there’s room for it in everyone’s life, no matter their income. Sidenote—that man has since gotten divorced and lives alone in an overpriced high-rise apartment in downtown Chicago. That’s not to say money destroys you, but I truly feel money can put a wedge between you and happiness if your focus starts to shift to collecting stuff instead of tapping into your family and non-monetary transactions. As an adult, I am constantly bombarded with other adults making rash purchases on things they don’t need. When I tell peers I don’t have cable TV and rarely go out to eat and always pack my and my kids’ lunches, they wonder how I could live such a deprived life. The bottom line is being frugal makes my soul content. I cut and color my own hair. I buy clothes from Goodwill. I cook meals in bulk and freeze them. What looks like being cheap to other restaurant-food eating, granite-counter-top buying adults (okay, I would actually love those, so maybe that’s jealousy coming out), is actually me feel a sense of pride and contentment. There’s something humbling and soul-satisfying about doing things for yourself because you can. Spending money on things you could do yourself or on things you truly don’t need has a way of making my life feel less connected and grounded in humility. I feel like I’m laying the groundwork for my kids because they’re watching me and hopefully learning that self-sufficiency and discipline have higher rewards than always giving in to temptations. It’s not about having a million dollars—it’s about cultivating a spirit in them that doesn’t look to stuff for satisfaction. Deciding to take this path is way harder than just buying them another stuffed animal to give in, but I’m determined to stay on this path. The truth is, even if I could give my kids everything they want, I have zero interest in doing that. A lot of parents are in the school of thought where they want to give their kids everything they didn’t have as kids. That makes sense, but I want to build a strong work ethic and understanding and appreciation of money and self-discipline, so this means my children hear the word, “no” pretty often. I hope I’m teaching them to live within their means one day without apology or embarrassment. I want to show them the simple things in life are where happiness truly lives. In this sense, money is not just money. It’s a matter of the soul, and I want to really instill this in them. If I can show them that, they’ll find happiness if they’re making $30,000 a year or $300,000. A lot of parents will make sure their kids don’t see the reality behind the adult curtain. I invite my kids in. When they want to buy a pizza, I remind them when we get carry-out, it’s $25 and when we make it ourselves, it’s about $5.00 to make. This doesn’t mean I deprive them all the time—that would be cheap! And I’m not cheap, remember? I’m frugal. We sometimes go out to eat, they get toys, I get them new clothes, etc. They are taken care of, but they are not showered with splurges, the same way I don’t shower myself with splurges. When they do get something, they seem to appreciate it and not expect it, so this is a nice sign of progress. My son is only six, so he tells me, “This won’t be an imp—imp—whatever it is. I just really want to buy something now!” I love that he is at least getting the idea of what an impulse purchase is, even though he does beg me to give him a debt on his allowance whenever we walk into any store. I’m like so many other adults and parents—living in the middle class, constantly looking for ways to get ahead. The financial choices I make every single day are just that—choices. I want my kids to grow up knowing working hard and not always getting the best of the best is not a punishment. It’s an accomplishment to have reached such contentment. 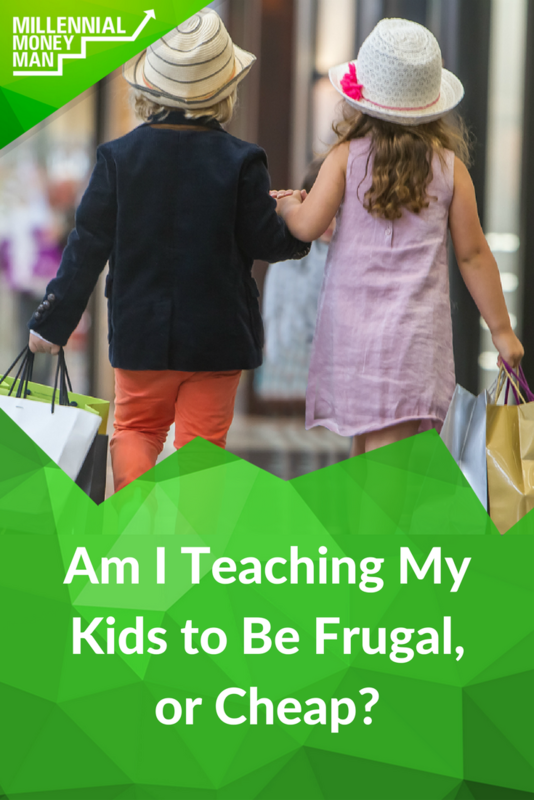 Do you teach your kids about frugality? How do you do it? Teaching kids about money is a problem we’ll never have – but it’s one that my brother is working on right now. His oldest daughter is just 4, but they’re already starting to teach her about money. When she gets money (in the future), she will probably split it between saving (50%), spending (25%), and giving (25%). Hopefully those habits stick. I think your stance on not giving kids everything they want is spot-on. Kids (and people) don’t need more stuff, generally speaking. I’d imagine it’s difficult given how impressionable they are, but the more you can teach them to appreciate the things they do have, the less likely they are to just want more and more. It’s a tough challenge and I don’t think there’s a one-size-fits-all approach. You’re right–it’s definitely not a one-size-fits-all approach. For me, what works best is being open and showing them my weaknesses. I’ll tell them I know what it’s like to walk into a store and suddenly feel like I need everything, and that struggle is real. The challenge can come when other parents are going over the top to get their kids so many things I just can’t get on board with, but parenting is such a personal journey that I need to keep my eyes focused on what’s important to me, and not being their best friend takes more grit than giving in. I think the line between being frugal and being cheap is different for everyone. At the end of the day, I only think something is cheap if it’s more focused on money over quality (ie. buying cheap crap from the store just to save a buck) or clearly ignores safety (ie. doing a DIY job on rewiring your house when you aren’t an electrician). We don’t have kids yet, but my plan is to just show them how we integrate frugality into our lives. They won’t want cable TV because we don’t have it. They won’t want to eat at restaurants all the time because home-cooked meals are the norm. I really believe modeling behavior is the first step. 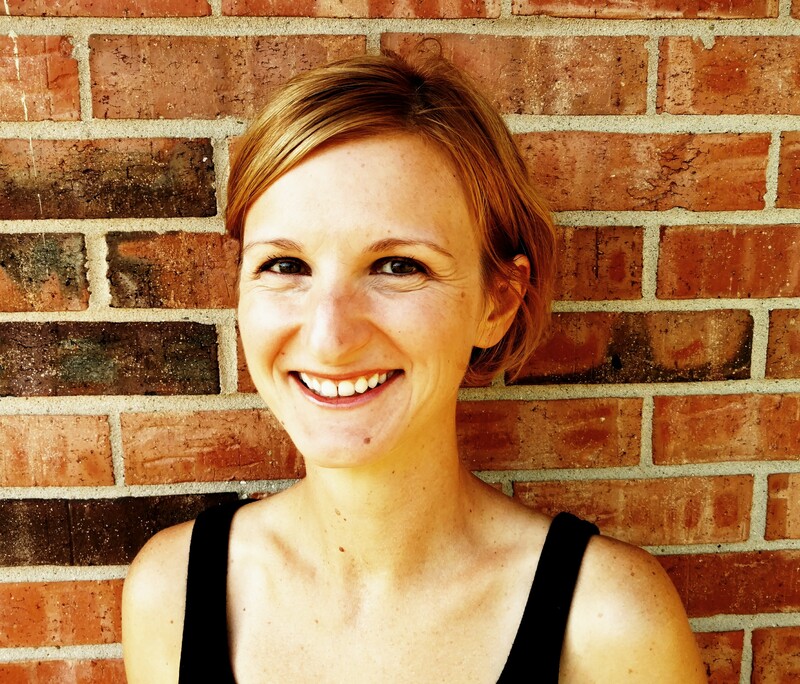 You’re right–modeling good behavior is stronger than just words. It’s not always easy because it means we adults have to be self-disciplined. Sometimes that’s no fun! It doesn’t have to mean no fun ever–it just means showing them to look for deeper contentment that goes beyond money. We currently have a 2.5 year old and 6 month old. We’re already trying to instill some money things into them by doing much of what you said – not randomly buying them more stuff, walking past the gift shops, spending more on experiences than “things”, eating at home, etc. Another thing I do is to rotate through their toys. Too many toys on the floor (just like too much clutter in our home) drives me CRAZY! So all of their toys are in a closet upstairs. Every two weeks or so I rotate through so they get “new” toys again. It’s crazy how they love playing with their old toys and having such a good time again since they’re “new”. It keeps the clutter off the floor, they stay entertained, and everyone is happy because the kids aren’t on top of us being “bored” all the time. Hopefully this strategy continues to work as they get older. We also really limit technology already. Yes, our kiddos can watch TV and play on an iPad, but we mostly have them spend time reading, playing, outside, or enjoying each other as a family. I can only hope that they continue doing this as they get older. I know it will be harder as they go to school and see the “normal” lives their friends live – but we can hope! That’s so awesome you’re doing that! Yes, clutter drives me insane, and I think it leads to kids’ imaginations being stomped when they have too much to occupy them. The older my kids get, the harder it is to shield the “real” “much cooler” world from them. 🙂 I still take the frugal path, knowing I might not be the coolest mom, but maybe our goofy dance parties will be what they remember instead of expensive toys. Frugal is not about being cheap it’s about getting the most value out of everything. Great guest post. We love living a frugal lifestyle. Saving in areas we don’t prioritise and putting more money towards savings/investing makes us feel much better. We both have plans to be “retired” before 50. So living a frugal life should help make that happen. Man that line gets fuzzy sometimes, doesn’t it? I have 3 kids, 6, 4, and 2. We work hard daily to help them learn about finances and frugality. Our 6 year old gets it in a lot of ways, understanding when we say it’s not in the budget this month. But she still has times she wants to go spend all her piggy bank money. It’s something we work on every day, understanding that some spending is okay sometimes, but not always. We could do a better job of her working to earn money ( she does chores, just not for allowance specifically). This is a great reminder to stay on the frugal side and off the cheap, so our kids can see what we’re doing and why. I brown bag it for lunch Monday through Friday. If I spent $13 dollars a day for lunch in 30 years I would have spent $101,400. Early in life, my father taught (well banged it into my head) me the envelope system. You have a envelope for all of your expenses and when you get paid you put money in each of the envelopes. That way at the end of the month you should have enough to pay the bills. We have piggy banks for our sons (7 and 5). That have three compartments: Give, Save, Spend. That is the order of finances in our household. Ask my 7 year old what you do with your money and he’ll say, “First we give!” My wife and I have been fortunate to have a solid foundation from our parents and hope to pass it on to our kids. If they want to use all of their “spend money,” no matter how silly of a thing he wants to buy, we let them so long as they have given and saved first. He will eventually learn what is worth buying and what is worth saving for. This is where we are with our little guy. The issue we have is others that want to spoil him because they feel we don’t. He’s almost 10 months old and while we kept Christmas minimal grandma and some friends went way overboard. We even talked to them about our decision to not do this before hand. Any ideas how to teach contentment when outside sources don’t understand the concept? I understand he’s young but don’t want this to get out of hand before he understands. There are two older grandsons so I’ve watched this a couple years and it doesn’t get better.